A new study offers an explanation for the extraordinary run of wet summers experienced by Britain and northwest Europe between 2007 and 2012. The study found that loss of Arctic sea ice shifts the jet stream further south than normal resulting in increased rain during the summer in northwest Europe. 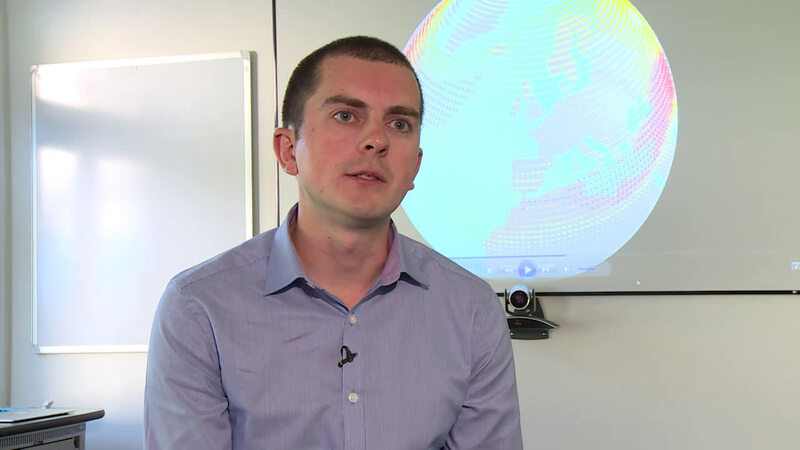 Dr James Screen from the University of Exeter used a computer model to investigate how the dramatic retreat of Arctic sea ice influences the European summer climate. He found that the pattern of rainfall predicted by the model closely resembles the rainfall pattern of recent summers. The study is published in the journal Environmental Research Letters. Dr Screen said: "The results of the computer model suggest that melting Arctic sea ice causes a change in the position of the jet stream and this could help to explain the recent wet summers we have seen. "The study suggests that loss of sea ice not only has an effect on the environment and wildlife of the Arctic region but has far reaching consequences for people living in Europe and beyond." Jet streams are currents of strong winds high in the atmosphere – around the height at which aeroplanes fly. These winds steer weather systems and their rain. Normally in summer the jet stream lies between Scotland and Iceland and weather systems pass north of Britain. When the jet stream shifts south in summer, it brings unseasonable wet weather to Britain and northwest Europe causing havoc for tourism and farming. The model suggests that while summer rainfall increases in northwest Europe, Mediterranean regions will receive less rain. The effects are not limited to Europe - weather systems as far as North America could also be influenced. The annual average extent of Arctic sea ice is currently declining at about half a million square kilometres per decade – equivalent to about twice the area of the UK. The study compared weather patterns during low sea ice conditions as seen in recent years to weather patterns during high sea ice conditions typical of the late 1970s. The model did not use estimates of how much sea ice there will be in the future, and so this study cannot predict future weather. The results do suggest however that if sea ice loss continues as it has over recent decades, the risk of wet summers may increase. 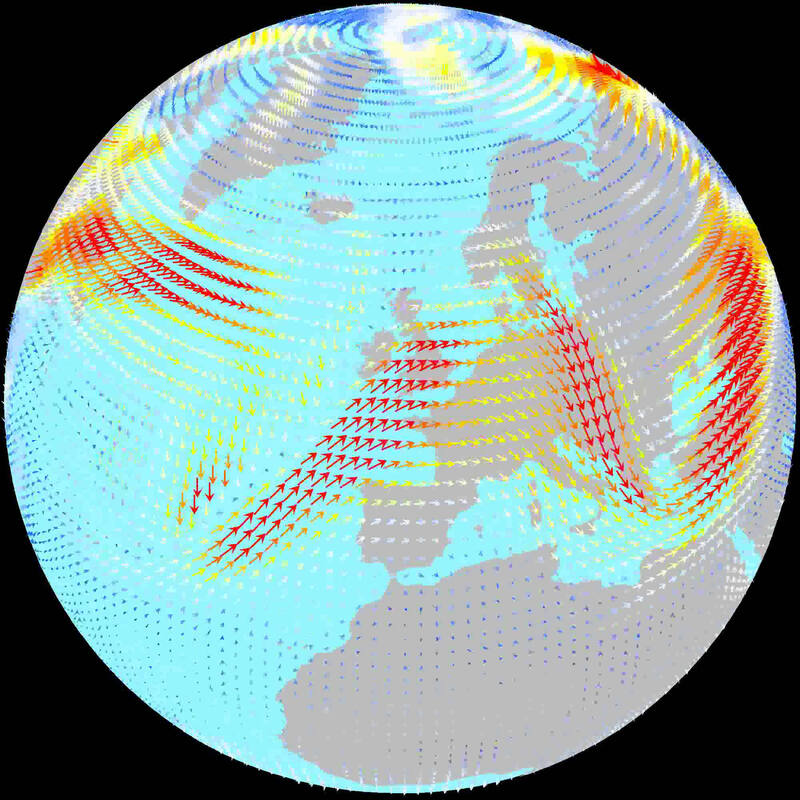 Other studies have suggested that recent ocean warming of the North Atlantic could also be responsible for more summer rain in northwest Europe. It is likely that several other factors, combined with the impact of melting Arctic sea ice, explain the recent run of wet summers. 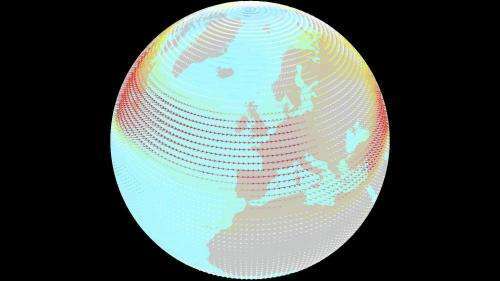 The next step is to use estimates of future sea ice loss to make predictions of how further melting could influence summer rainfall in Europe in the years to come. Funny how these studies always turn up after the fact. If we had a deluge of frogs there'd be a study out a few weeks later explaining how it was caused by melting ice caps and capitalism. Please, please don't take away my Supercharged V8 behemouth. My weenie is so small that without my props I am nothing. Funny how these studies always turn up after the fact. If they turned up BEFORE the fact then you'd be slagging them as baseless speculation, right? Models need to be validated. And how else can you validate them than against measured values? North west europe is Britain right? Britain and iceland? North east would be the scandinavians right? In fact, Ironically, 2013 saw massive arctic ice reforming, and 2013 we haven't had the hosepipe ban because it snowed in May (Summer!) and has been raining ever since. Yes, it is definitely warming up. When it was hot and dry all those years they said global warming. Now things haven't quite gone their way its now wet seasons and heavy rainfall. It's either hot and drought ridden or wet and flooded. Pick one. You can't say warming causes both. Well you can say it, but you'll be wrong. Well done Triple ….. you've got the idea. Err - it's more variability. Simply explained in the summer months by a more sluggish polar jet-stream. In turn caused by a reduced temperature contrast between the Arctic and temperate zones. In winter months cold spells (very likely) explained by recent low solar disrupting the Polar Stratospheric vortex, perhaps with +ve feedback from more open Arctic waters during Autumn. This being regional and not changing overall NH winter averages. And DO try to distinguish between climate ( the expected regime of ave temp, ave rainfall, ave wind, ave snowfall etc over at least 30 yrs) and NOT cherry picked weather events or extreme seasons. Models can't be validated by looking at models prediction and then observed occurence because climate and weather is mathematically chaotic. It's almost a 50/50 in fact. No it's not. That's why we have statistics to validate models - and that is why models have to pass certain statistical tests to be considered valid (which are MUCH more stringent than 50/50). If you don't know how this works then don't comment on it (unless it is to ask how it works). The same reason tossing a coin thousands of times will always give a 50/50 ratio. For the same reason that even though we cannot tell what is happening to molecules of water in a pan and heated until boiling. We DO know exactly what energy is required to raise that pan of water to 100C, and how long it will take to do so. It's chiefly internal chaos and the end result is predictable. Solar energy out - SW reflected (clouds ice/snow etc - albedo) + that radiated as terrestrial IR. Minus back radiation caused by GHG's including WV and clouds. Solar in is known to the odd W/m^2. Solar out (less accurately) measured via satellite. GHG's known from spectral analysis and known IR absorption properties. [quote]And DO try to distinguish between climate ( the expected regime of ave temp, ave rainfall, ave wind, ave snowfall etc over at least 30 yrs) and NOT cherry picked weather events or extreme seasons. Same advice to the warmists I am afraid. If climate/weather were chaotic then that would be a model - and you could validate it against observation. " Something being chaotic means it is inherently "un-modelable" A model takes variables and gives them weighting and thusly predict events depending on what variables are occurring at what strengths in the observed data. Ergo, a prediction of future weather/climate. The fact the variables are inherently chaotic means you can end up with two results, polar opposite, with very similar variable circumstances. As has been seen countless times, climatologists collect early data, state it has done X before, and then Y happens and everyone starts scratching heads. You can't really model on observations either because climate data is stochastic. If the end result is predictable, then why are models continously coming out with wrong results? Again don't get me wrong, I am sure they are effective at many things. They have massive limitations still. "The same reason tossing a coin thousands of times will always give a 50/50 ratio." Actually, this is demonstrably un-true. Theoretically it is 50/50. Practically, one always gets an edge. Just google it, physorg don't give enough characters for me to explain how theoretical probability theory doesn't account for actual practical scenarios. Ah runrigs sinister alias has logged in to downvote me and upvote himself. Funny how runrig never posts at the same time as the votings. Always before and after. Time to get 2 computers to make it look less choppy mate. Still. These are the same people stating how melting ice will raise sea level despite it being basic laws of physics and chemistry that liquid water takes up LESS volume than solid water. Ergo, deep oceanic ice melting should actually lower water levels. Fill a glass with ice, now pour water until it is reaching the edge. Wait for ice to melt. Water level will lower by a few mm. Arctic melts, similar setup just bigger, oceans rise by 20 metres apparently. Something being chaotic means it is inherently "un-modelable"
E.g. it is very well possible to model weather for short timeframes (up to ten days or so) with pretty good accuracy. We call those 'weather forcasts'. You may have heard of them. Similarly we can model climate for several decades (up to a century) with fair accuracy - but not for millennia. ...but not with the same likelyhood. If your model predicts the most probable one then it's a good model. True, a completely unmodellable system would be unboundedly random, requiring infinite energy. However something can be practically impossible with current knowledge and technology to model well. A model with restrictions is just that - a restriction. A machine is only as strong as it's weakest part. A model is only as accurate as its least accurate figure, otherwise you are artificially boosting it. The patronising tone in which you state "weather forcasts" (forecast actually) is humorous. pretty good accuracy I would partially agree with. But "pretty good" in scientific circles where most sciences can predict with 99.999% confidence throughout thousands of data points makes climate science a limited one. 3.The likelihood of the amalgamation of those variables. The only way to reach a "likelihood" is to look at past data. But that data is stochastic. You can't pick and choose from a stochastic dataset and make a likelihood. It is stochastic! To get a good idea of how a set of decades will run, you need to go through many centuries of data, not just a couple/few decades. That's effectively a datapoint of 1. Again, we only have 1 planet. Getting variables weightings is just observing years and years and assuming a given variable, despite extranerous variables being present. I would like to point out here I am not a denier. There are plenty of very decent climate papers out there, and models give us good data at times. BUT, I understand their limitations. The issue I have, is the political bias it recieves in this subject, and the tone a lot of papers have of very sketchy smoothed statistics being touted as undeniable fact with settled science. Science is never settled, it is by nature, dynamic and constantly peer reviewed. If science could be settled, then it wouldn't require peer review. My issue is the vast amount of money laundering and laws being made, and companies being hounded for apocalyptic predictions that never come true. Yes there are issues and problems with climate, they are however, exxagerated, and IPCC continues to downsize their estimates with egg on its face. My issue is with the sheer hysteria and superiority complex that comes with the subject, which is a shame. I am not a denier. I am just healthily questioning of SOME parts. First I am what I am and no other. Amazing. The example you quote is because the ice is not freely floating. Ice when floating displaces the same mass of water as itself. Which … wait for it … is the same mass of the water it would be when melted. When held down ice would merely displace it's own volume NOT mass of water). It's called Archimedes principle…..
Sea ice is freely floating. A model with restrictions is just that - a restriction. So? If you apply it within those limits it's still a good model. Using weather forecasts to plan a trip tomorrow is a good idea. Using weather forecasts to plan a trip next month is not a good idea. Using Newtonian gravity to model planetary motion is a good idea. Using it to model the orbit of Mercury over a few centuries is not. ut "pretty good" in scientific circles where most sciences can predict with 99.999% confidence throughout thousands of data points makes climate science a limited one. The usual standard is 95% for a model to be acceptable (it certainly is good enough to base policy on rather than not). For simpler systems our models are often a lot better. Climate is not a simple system. The likelihood in year 51 is astounding, BUT, the opposite happens. So? What part of 'statistics' don't you get? We have only been observing Earth with primitive equipment for a few decades. We have historical climate records. We have the ice records and geological records which date back many thousands of years - which have been measured by the best tools available to us today. That is far from 'primitive equipment'. Not all variables have an effect of the same magnitude. Again: you can put an upper bound (via statistical analysis) on how much these 'unknown variable' can skew your results. With the same methods you can put an upper and lower bound on those. The likelihood of the amalgamation of those variables. It's called multivarite analysis. Standard stuff. I know statistics isn't very intuitive if you haven't studied it. But refrain from making pronouncements on what it can and cannot do until you do - please. You cannot equate GCM's with NWP models they are NOT the same, precisely because of the chaos inherent with sensitivity to initial conditions. NWP tries to map out those moving molecules in the pan of boiling water I used as an analogy below. Therefore you NEED to know what condition those molecules are in at the start. GCM's are concerned with the overall temp of the system at a certain point in the future. You do not need to know much if anything about the internal conditions of the water. wee're not trying to forecast whether the UK has a nice sunny day in 50 years time exactly. Just basic input/output of heat into the system. meh....and there go more of my hard-earned-easy-lost-tax-euros to all the waterworks. And the Mediterranean area can't afford to lose so much water either. North Africa is already dry as a bone and southern europe doesn't have a lot of margin either. looks like we're ending up with a barren middle earth and a soaky spungy netherlands. Iceland is some outer limit with weird people running around in the snow with nothing but underwear, sometimes not even that.